Daniele Rietti is a European Citizen of Italian nationality. He holds a master degree in Economics and Social Sciences. His main area of interest is the European Union and its relations with the United States, Russia and Israel. ”Turkey’s president and government instrumentalized the violent military coup attempt of July last year to crack down on human rights and dismantle basic democratic safeguards’’ — Human Rights Watch pointed out in its World Report 2017. This interview was conducted originally in Italian and translated to English. For the Italian version of the interview, click the link at the end of the page. In the aftermath of the attempted coup, the government declared a state of emergency, jailed thousands of soldiers, and embarked on a wholesale purge of public officials, police, teachers, judges and prosecutors. The government misused terrorism laws against followers of the US-based cleric Fethullah Gülen, whom the government accuses of masterminding the July coup attempt. The mass arrests and removal of safeguards against detainee abuse led to rising reports of torture and other ill-treatment in custody. 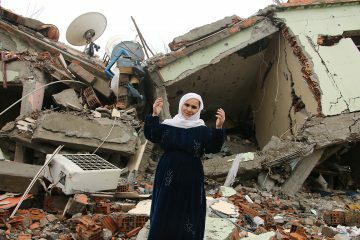 The escalating conflict in the predominantly Kurdish southeast of Turkey particularly since 2016 also led to serious and widespread human rights violations in the region followed by a harsh crackdown on the Kurdish political movement and the jailing of thousands of Kurdish activists, among them democratically elected members of parliament and mayors. 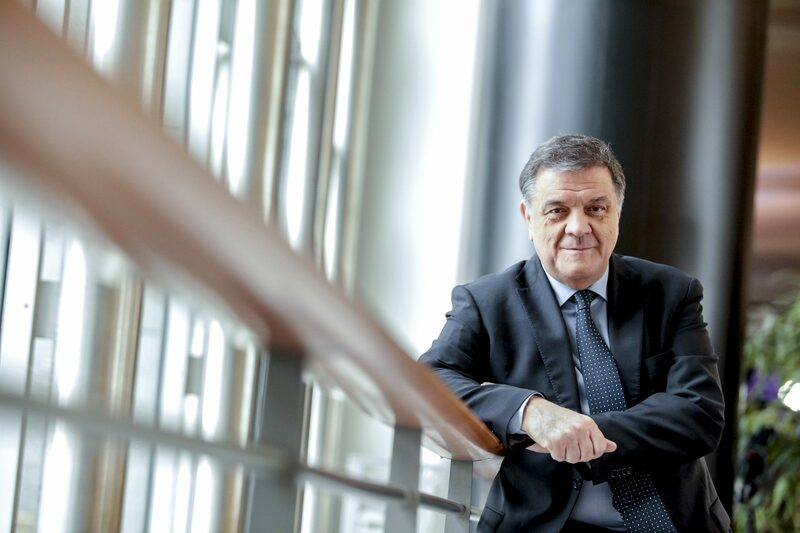 In an interview with Vocal Europe, Pier Antonio Panzeri, Chair of The European Parliament’s Subcommittee on Human Rights (DROI), expresses his take on some of the critical challenges to the situation of human rights in Turkey. Vocal Europe: Five years ago Turkey as a candidate country was undertaking a significant democratic reform process with excellent relations with the EU. Turkey’s many archaic problems, which were considered key sources of human rights violations, were dealt with sincerely to be solved. What is your take on why Turkey under President Erdogan has shifted towards a more authoritarian state with almost no tolerance for political opposition? Pier Antonio Panzeri, Chair of the European Parliament’s Subcommittee on Human Rights (DROI). Pier Antonio Panzeri: For the moment, it is very hard to consider Turkey joining the EU as a top priority for the Union itself. A lot of water has flowed under the bridge since this issue was an important item on the EU agenda. I need to underline that the EU made also some mistakes along this process. For instance, the Union has never univocally backed such an enlargement journey, being itself divided between parties advocating and others opposing it. Nowadays, we are experiencing a new situation that has been exacerbated following the failed coup attempt in July last year. As a matter of fact, President Erdogan’s new policies and behaviors are deeply jeopardizing every single possibility for his country joining the union. This is to emphasize that whilst a European enlargement for Turkey does not seem likely at the present time, a more realistic form of relation is constituted by a closer cooperation between Ankara and the EU. In that respect, the pre-condition for strengthening ties stipulates, without doubt, the improvement of Turkey’s political situation and human rights record. No matter what is said, Turkey has not made any satisfying progress on five out of the seventy-two conditions that the EU requested. Vocal Europe: Referring to a report by Human Rights Watch (HRW) that Turkish police have tortured and otherwise ill-treated individuals in their custody after emergency decrees removed crucial safeguards in the wake of a failed coup attempt in July 2016, did you have any contact with the Turkish authorities, being relevant state bodies or embassies to discuss severe violations of human rights in Turkey, which are still unfolding? If yes, what is their response? Pier Antonio Panzeri: Here at the European Parliament we have met the representatives of a number of Turkish NGOs. These meetings were aimed at understanding the current situation and evaluating the possible contributions the Union can make in order to prevent the detrimental policies on human rights that are in force today in the country. In addition, those organizations have repeatedly underlined the harsh conditions, caused by the new draconian laws, which they have to face just because they are operating in Turkey. Vocal Europe: Turkey’s current counter-terror law has been a critical matter between the European Parliament and Turkey. Following the failed coup attempt last year, large numbers of dissidents have been arrested by the Turkish authorities through the draconian definition of terrorism. Sezgin Tanrıkulu, a deputy of opposition Republican Party (CHP) stated that many people were killed by unmanned air vehicles, meaning that the same definition of terrorism was also exploited by the Turkish government for the military operations over the past two years in east and southeast Turkey where many Kurdish citizens were killed and over half a million people had to flee the region. Do you see any EU leverage left upon Ankara to make sure that Turkey’s current terror law is to be re-designed within the boundaries of fundamental freedoms and human rights? 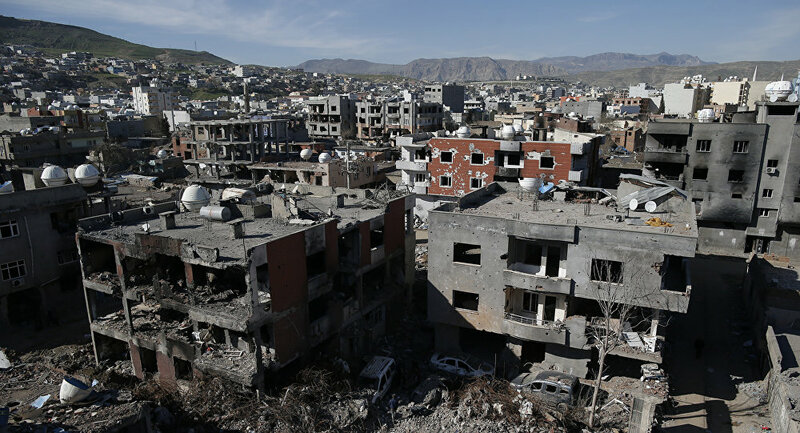 Ruined houses and buildings are seen in the city of Cizre, following the military operations by the Turkish security forces. Pier Antonio Panzeri: The EU is trying everything possible within its boundaries to increase its leverage over Turkey because of the country’s anti-terrorism law. Indeed, this legislation is used as an anti-dissent measure; because of this, citizens without any judicial order are detained; trials are endless; preventive detention terms become considerably longer without reason and we have evidences of arbitrary detentions. We consider this law to be tremendously incompatible with Turkeys’ obligations toward the European Convention on Human Rights. Turkey’s full adherence to this convention was one of the preconditions set by the EU for the enlargement. In fact, this is among those five conditions Turkey has not yet reported on. In my opinion, we should use all the financial and commercial instruments the EU possess in order to put pressure on Turkey over this issue. Vocal Europe: A new body called the “State of Emergency Procedures Investigation Commission” was established after the coup attempt to receive objections to state of emergency rulings. Although there are thousands of applications already made to the commission, no single decision has been so far taken. Based on the establishment of such an administrative commission, European Court of Human Rights (ECtHR) dropped over 12 000 cases from Turkey. Underlining that the State of Emergency commission is largely considered a political entity, what is your take on the decision by ECtHR dropping thousands of human rights cases caused by the on-going state of emergency? Pier Antonio Panzeri: I have been very suspicious about the establishment of this Commission. My skepticism is about the commission’s inability to operate adequately and to comply with the objectives, upon which the commission itself was established. As of today, I believe sending a strong signal is essential to make this commission working concretely and as transparently as possible. Vocal Europe: Several reports revealed that more than 17 000 women have been arrested over the past year. Even worse, according to the most recent data given by the Turkish government the number of infants and children under 6 year of age, who are being held in Turkish prisons along with their parents, are 668. As chair of Subcommittee on Human Rights, how do you deal with such an atrocity? What are the measures do you apply to bring more attention to these severe human rights violations in a candidate country? Over 17 000 women were arrested following the coup attempt of July last year where 668 infants are reportedly accompanied by jailed mothers across Turkey — reports Gulen Movement linked Stockholm Center for Freedom. Pier Antonio Panzeri: The European Parliament’s Subcommittee on Human Rights (DROI) has constantly addressed the public over the human rights situation in Turkey. This has been done through dedicated hearings and by the release of reports containing strong statements over this critical issue. In addition to that, the Parliament constantly monitors the situation by preparing ad-hoc reports over Turkey’s deteriorating human rights record. We believe that this is the most effective form of method for bringing human rights’ violations to the attention of both the European institutions and as well as the public opinion. 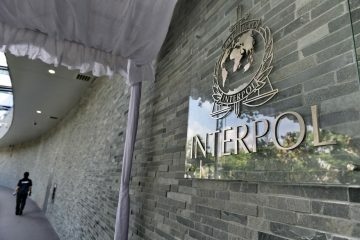 Vocal Europe: As one of recent and most implacable examples, the Turkish government revoked over 150 thousand passports and asked Interpol to put more than 60 thousand names of Turkish nationals on Interpol’s wanted list since the attempted coup last year. Among many others, an NBA star was detained in Romania and two Turkish journalists holding EU citizenship were recently arrested in Spain. All of them faced the risk of extradition upon the request by the Turkish government. Do you see any possibility for an EP resolution calling member states to undo such practices by Interpol in terms of detaining and extraditing Turkish nationals who are mostly known to be followers of Gülen Movement? Pier Antonio Panzeri: I believe that the European Parliament must have a clear and straight position over this sensitive matter. My impression is that many of those warrants are issued because of the political views of these people that have been expressed today and in the past. Therefore, I am in the opinion that it would be a major mistake if the EU member states extradite these individuals. We will try to make the parliament express a clear stance on this issue over the next few weeks. Vocal Europe: Cinque anni fa la Turchia, da paese candidato a entrare nell’Unione Europea, e in ottimi rapporti con l’Unione stessa, aveva intrapreso una serie di riforme volte a democraticizzare il paese. C’era, infatti, la sincera volontà di risolvere molti problemi, talvolta di antica fattura, che erano considerati la causa principale della violazione dei diritti umani nel paese. Oggi invece la Turchia, sotto la presidenza di Erdogan, sta diventando, nei fatti, un paese autoritario, nel quale c’è sempre meno tolleranza per posizioni dei partiti di opposizione. Qual è la sua opinione su tutto ciò? Pier Antonio Panzeri: Molta acqua è passata sotto i ponti e oggi appare oggettivamente difficile considerare l’allargamento alla Turchia una questione all’ordine del giorno. Si può dire che ci sono stati errori, alcuni anni fa, da parte della stessa Unione europea, la quale non ha probabilmente spinto con forza nella direzione dell’allargamento, divisa com’era allora tra i fautori dell’allargamento stesso e chi invece ne era contrario. Oggi ci troviamo in una situazione nuova, ulteriormente aggravata, dopo il mancato golpe, dalle posizioni, i comportamenti e le politiche messe in campo da Erdogan che oggettivamente stanno rischiando di chiudere definitivamente la strada di una possibile inclusione della Turchia in Europa. 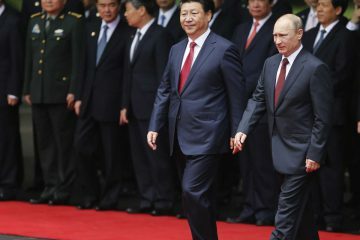 Rimane aperto il campo di un più stringente rapporto bilaterale e di cooperazione che sarà possibile se ovviamente la situazione politica e dei diritti umani oggi in Turchia cambierà. In ogni caso, la Turchia non aveva ancora risposto a cinque delle 72 condizioni che l’Unione europea aveva posto ad essa per avviare le procedure di allargamento. 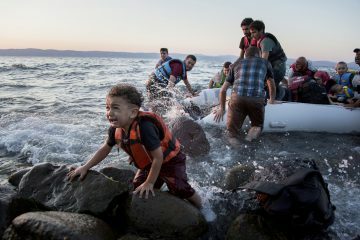 Vocal Europe: Secondo questo report di Human Rights Watch (HRW), a seguito dei decreti emergenziali emanati dopo il fallito colpo di stato del luglio 2016, i quali rimuovevano importanti salvaguardie ai diritti degli imputati, sono avvenuti episodi di tortura e maltrattamenti da parte delle forze dell’ordine nei confronti dei detenuti. Lei è in contatto con qualche autorità turca (a livello di governo centrale o rappresentanza diplomatica) con cui discutere queste gravi violazioni dei diritti umani, che tuttora proseguono? Pier Antonio Panzeri: In caso di risposta affermativa, qual è la loro posizione? Abbiamo avuto anche qui al Parlamento europeo alcuni momenti di confronto con organizzazioni della società civile turca, un confronto per valutare lo stato della situazione e il contributo che l’Unione europea può fornire per rimuovere le politiche distruttive dei diritti umani oggi perpetrate in Turchia. Queste organizzazioni, tuttavia, hanno più volte sottolineato le difficoltà nelle quali agiscono dovute alle leggi draconiane oggi presenti in quel paese. Vocal Europe: Uno dei principali motivi di scontro tra la Turchia e il parlamento Europeo riguarda l’attuale legislazione anti-terrorismo. Sempre a seguito del mancato colpo di stato dello scorso anno, molti oppositori politici sono stati arrestati dalle autorità turche a causa della definizione draconiana di “terrorismo” contenuta in tale legge. Sezgin Tanrıkulu, deputato del partito Repubblicano (CHP) di opposizione, ha riferito che diverse persone sono state uccise da droni. Questo significa che l’attuale definizione di terrorismo è la stessa usata dal governo turco per le operazioni militari nell’est e nel sud-est del paese, che hanno causato la morte di molti cittadini curdi e la fuga di mezzo milione di altri dalla regione. L’Unione Europea sta facendo pressioni su Ankara affinché la suddetta legge anti-terrorismo sia modificata nel rispetto dei diritti umani? Pier Antonio Panzeri: Sì, la nostra pressione è costante e continua perché la legge anti terrorismo è una legge usata contro il dissenso: vengono effettuati arresti in assenza di un giudice, i processi sono infiniti e c’è un allungamento spropositato dei tempi della custodia cautelare, assistiamo a tanti casi di detenzione arbitraria e, in definitiva, consideriamo questa legge anti terrorismo incompatibile con gli obblighi che la Turchia dovrebbe assumere per il rispetto della Convenzione europea dei diritti dell’uomo. 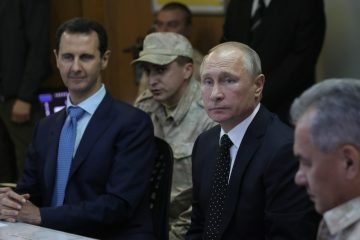 Tra l’altro, questa è una delle condizioni che è stata posta alla base per procedere sulla strada dell’allargamento alla Turchia ed è una delle condizioni per la quale la Turchia non ha fornito risposte. Secondo la mia opinione dovremmo utilizzare anche gli strumenti economici e commerciali che possiede l’Europa per esercitare le pressioni adeguate. Vocal Europe: Un organo istituito dopo il mancato golpe è stata la “Commissione investigativa sulle procedure dello stato di emergenza”. Compito di questa commissione è la ricezione di ricorsi riguardanti le norme di emergenza. Tuttavia, nonostante il suddetto organo abbia già ricevuto migliaia di ricorsi, non ha ancora emesso alcuna sentenza. A causa della fondazione di questo istituto, la Corte Europea dei Diritti dell’Uomo, l’ECHR, ha lasciato cadere più di 12 000 ricorsi sui 25 000 riguardanti la Turchia. Poiché questa commissione è considerata dai più come un’entità politica, qual è il suo pensiero sulla decisione dell’ECHR di lasciare cadere tutti quei ricorsi sui diritti umani, causati dal presente stato di emergenza? Pier Antonio Panzeri: Ho nutrito molti dubbi attorno alla decisione di istituire tale Commissione e questi dubbi avevano un oggettivo fondamento nel fatto che non si sarebbe agito nella maniera più adeguata e ottemperato agli impegni che erano alla base della formazione della Commissione stessa. Ad oggi quindi, credo che sia indispensabile mandare un messaggio molto forte perché la Commissione lavori concretamente e con il massimo della trasparenza. Vocal Europe: Ci sono diverse evidenze che più di 17 000 donne siano state arrestate durante l’anno passato. Stando inoltre a dati recenti forniti dalle autorità turche, vi sono 668 bambini da 0 a 6 anni detenuti nelle carceri insieme ai loro genitori. Nella sua veste di presidente della sotto-commissione parlamentare ai diritti umani, come si rapporta con tale atrocità? Quali strumenti utilizzate per portare all’attenzione dell’opinione pubblica queste gravi violazioni dei diritti umani, in atto in un paese candidato ad entrare nell’Unione Europea? Pier Antonio Panzeri: Nel quadro delle funzioni che la Commissione dei diritti umani del Parlamento europeo ha, richiamiamo continuamente, anche attraverso appositi hearing, all’attenzione pubblica la situazione dei diritti umani in Turchia attraverso prese di posizione significative. Un altro strumento è quello del monitoraggio che il parlamento compie regolarmente predisponendo relazioni ad hoc sulla Turchia e individuando in quella sede le forme più appropriate per portare all’attenzione sia degli organi istituzionali europei sia dell’opinione pubblica le violazioni dei diritti umani. Vocal Europe: Recentemente il governo turco ha revocato più di 150 mila passaporti, e ha chiesto all’Interpol di inserire più di 60 mila cittadini turchi nella lista dei ricercati, a seguito il tentativo di golpe dell’anno scorso. Tra gli altri, notabili sono stati i casi di una star del basket NBA che è stato arrestato in Romani e due giornalisti turchi, con cittadinanza UE arrestati in Spagna. Tutti loro sono a rischio di estradizione. Vede la possibilità di una risoluzione del Parlamento Europeo che possa obbligare gli stati membri a impedire all’Interpol di arrestare e estradare quei cittadini turchi che si sa essere seguaci del movimento Gulenista? Pier Antonio Panzeri: Io penso che il Parlamento europeo debba essere molto chiaro e netto su queste vicende. La mia impressione è che molti di questi ricercati lo siano per via delle opinioni politiche che hanno assunto o hanno e tutto questo mi porta a sostenere che sarebbe un errore che i paesi dell’Unione europea concedessero, come nei casi descritti, l’estradizione. Cercheremo di fare assumere una posizione chiara allo stesso Parlamento europeo nelle prossime settimane.